From the Sam Wanamaker Playhouse in London, Luigi Rossi's little-known opera Orpheus, in a collaboration between Shakespeare's Globe and the Royal Opera House. 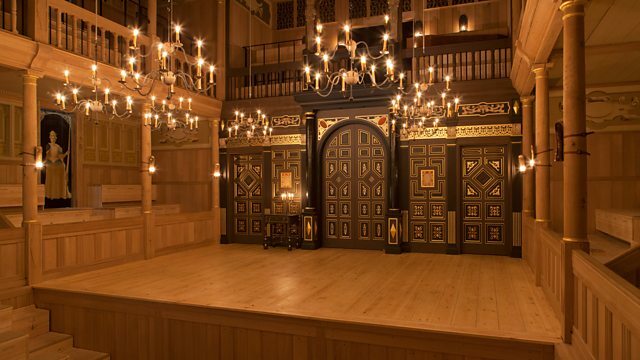 Luigi Rossi's 17th-century opera on the myth of Orpheus from the candlelit space of the Sam Wanamaker Playhouse, performed by the Early Opera Company, conducted by Christian Curnyn and directed by Keith Warner. Rossi's version of the myth casts two sopranos in the leading roles - Mary Bevan sings the role of the musician Orpheus who is betrothed to Eurydice, sung by Louise Alder, but bad omens threaten their future together. The shepherd Aristaeus, sung by mezzo-soprano Caitlin Hulcup, is also in love with Eurydice and is driven mad by her rejection of him. This version of the tale includes Eurydice's death and Orpheus's journey into Hades to bring her back; but Rossi's opera, written for a lavish Paris staging in the 17th century, ends on a happier note. This little-known opera includes some charming music, beautiful arias and ensembles. Singer: Mary Bevan. Singer: Louise Alder. Singer: Caitlin Hulcup. Singer: Philip Smith. Singer: Sky Ingram. Singer: Keri Fuge. Singer: Graeme Broadbent. Singer: Mark Milhofer. Singer: Verena Gunz. Singer: Lauren Fagan. Singer: Jennifer Davids. Singer: Emily Edmonds. Orchestra: Early Opera Company Orchestra. Director: Christian Curnyn. Performer: Steven Isserlis. Performer: Thomas Adès. There has been a cosmic dispute between Venus and Phoebus Apollo, ever since Venus’s tragic love affair with Adonis. Eurydice prepares for her forthcoming marriage, helped by her father, Endymion, her nurse Aegea and her betrothed, Orpheus, the son of Apollo. Aristeus, the son of the god Bacchus, is in love with Eurydice. He laments that she cannot be his. Venus, Cupid and the Three Graces attempt to calm him, but to no avail. Venus hatches a plan to disguise herself as an old woman and persuade Eurydice to accept Aristeus. She hopes in this way to gain favour from her lover Bacchus, and revenge herself on her enemy Apollo. Cupid, her wayward son, hopes to confound his mother’s plans. Eurydice and Orpheus hold a banquet to celebrate their betrothal. Their guests include Momus, the god of gossip and mockery, who comments on the wedding with his cynical remarks. Suddenly, all the lights go out and the earth quakes: a bad omen. The company pray to the gods to avert misfortune and welcome love as the only alternative to pain and devastation. The old woman, Alkippe (Venus in her planned disguise), and Aristeus meet Eurydice and Aegea on their way to the temple. They try to persuade Eurydice to leave Orpheus and accept Aristeus, but she remains loyal to her betrothed. Satyr suggests to Aristeus that he abducts Eurydice. The Three Graces hail Orpheus’s power as a musician, but Orpheus is out of sorts, unable to create music since the debacle of his wedding banquet. Cupid warns Orpheus that Venus is plotting against him. When Venus, still as Alkippe, finds out that Cupid has betrayed her, she loses her temper and vows revenge on Orpheus, Eurydice and her son. Eurydice, in a dream, is dancing with spirits. When she wakes, a viper, organised by Venus, bites her. Eurydice refuses help from Aristeus, and dies, calling for her husband. Everyone laments her passing. Orpheus wanders in desolation. He asks the Fates where he can find Eurydice, and they point him to the Underworld. Eurydice’s ghost meanwhile pursues Aristeus. Driven insane by this, Aristeus hallucinates, mistaking Satyr for Eurydice and Momus for Aegea, and eventually commits suicide. In the Underworld, Orpheus pleads with Pluto to restore Eurydice to him. Pluto is so impressed with Orpheus’s music-making that he agrees – provided Orpheus doesn’t look back at his bride on his return journey from the Underworld. Eurydice is led in and they begin their crossing of Lethe. Eurydice grows increasingly upset that Orpheus avoids her gaze. Pluto orders a dance, during which Orpheus and Eurydice make eye contact. Charon reports the story back to Pluto, and Pluto pronounces sentence. Venus informs Bacchus and the Maenads of Aristeus’s death. Bacchus vows vengeance on Orpheus, and incites the Maenads to frenzy. They must hunt down Orpheus and devour him. Again, Orpheus mourns his loss. The Maenads plan to tear Orpheus to pieces, but a higher power intervenes and grants Orpheus and Eurydice immortality, beyond theatre and among the stars.